I’d love to watch the Harry Potter movies or perhaps the original Star Wars. 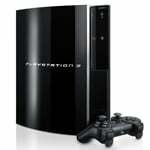 I would love to see the movie Avatar with the Sony PS3. I would like to watch the entire trilogy of The Lord of the Rings extended editions. All 15 hours of it! Told one friend about your site! What would I watch in Dolby Digital Surround!! There are so many choices!!! But the movie I would love to hear with that type of surround sound is Avatar because with the PS3 Blu-Ray, it would be an unbeatable deal.